After Lloyd Austin's untimely death in 1963, his widow Gladys carried on the business for several more years, making introductions until 1966. Later, other hybridizers stepped in to continue the work on space age iris, and in the late 20th century space age iris reached new heights of recognition and acclaim. Here are a few examples. 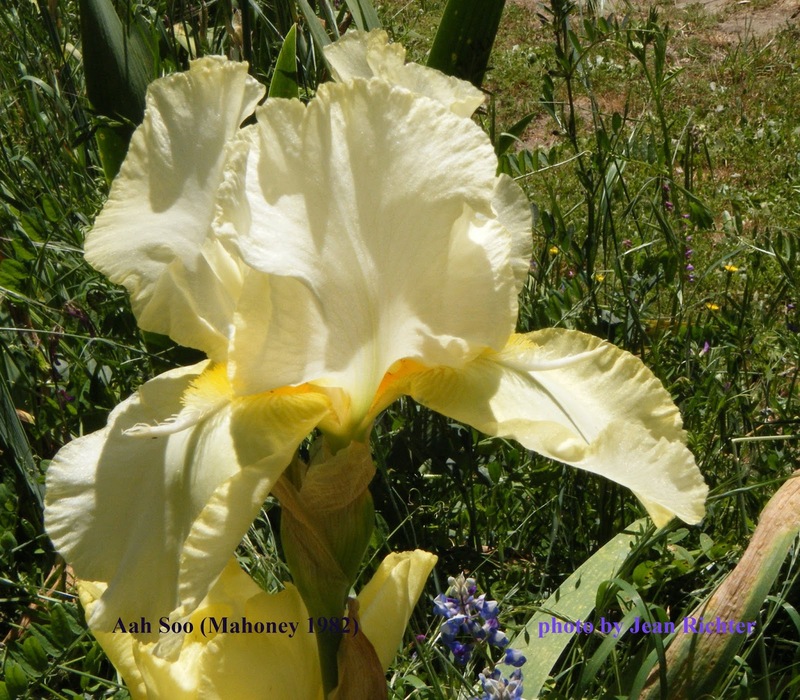 San Francisco area hybridizer Manley Osborne introduced a number of space age iris beginning in the 1970s. Here is one of his earlier ones, Moon Mistress. 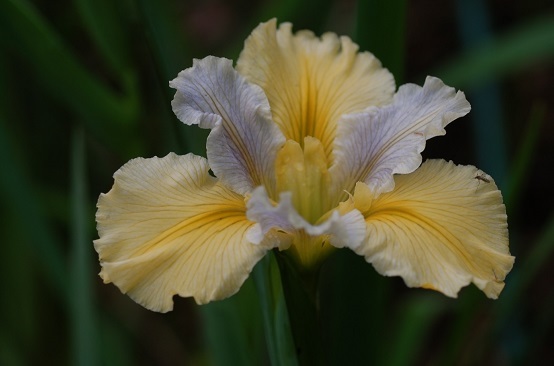 In 1980 Osborne introduced a space age iris that would usher in a new era for these iris. 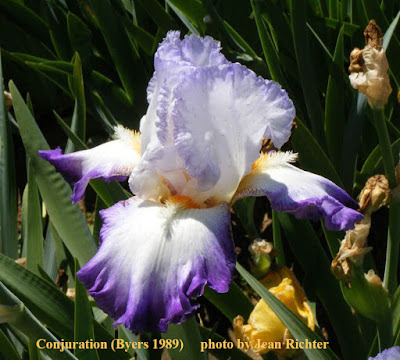 In addition to being an excellent grower and bloomer with very consistent appendages, it was widely used in hybridizing by other irisarians interested in producing space age iris, and is in the background of some of the most famous of all space age iris. This singular variety was Sky Hooks. 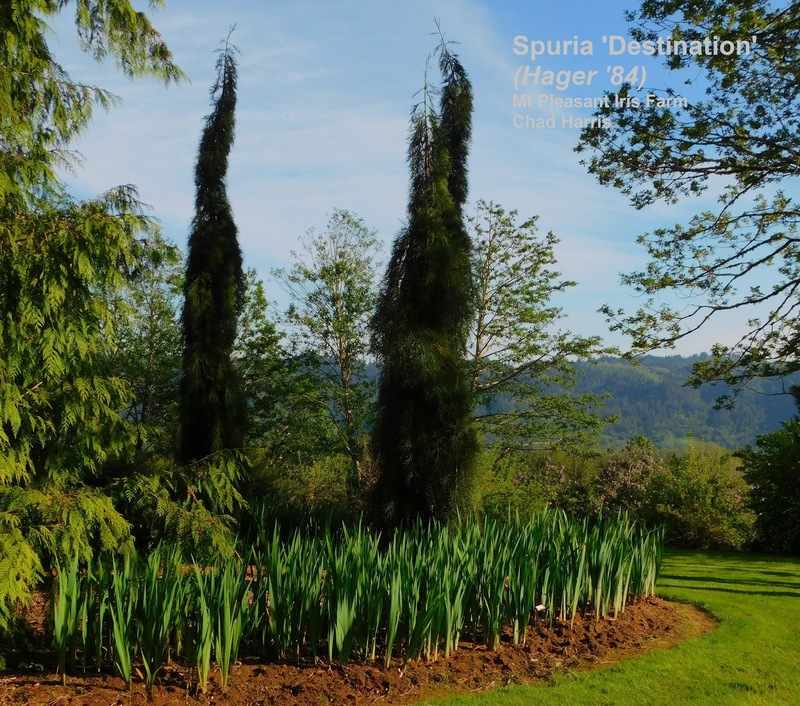 Oregon hybridizer Duane Meek introduced space age iris Buckthorn in 1979, still an unusual color for a space ager. Other hybridizers began to create space age iris in the 1980s. James Mahoney from New Mexico crossed Horned Sunshine with Dykes Medal winner New Moon to create Aah Soo. 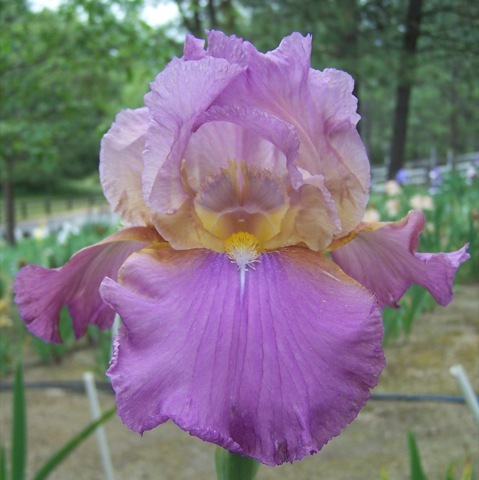 Central California hybridizer Nancy Bartlett did not introduce very many iris, but among them was the lovely space ager Lavender Queen. Another hybridizer who began to introduce space agers in the 1980s was Monty Byers. 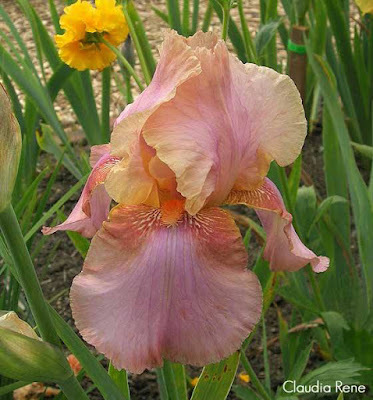 In 1989 he introduced Thornbird, a very polarizing iris - people either loved or hated its interesting color. 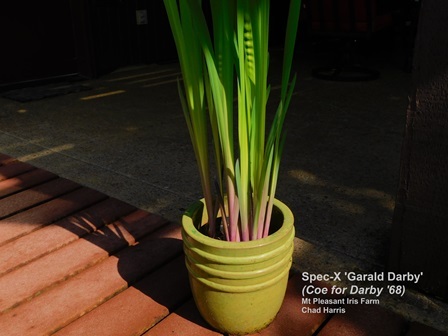 No one could deny its vigor and excellent garden qualities, however, and in 1997 it became the first space age iris to win the Dykes Medal. That same year Byers introduced another space ager, Conjuration, and that iris won the Dykes Medal the year after Thornbird, in 1998. Byers wasn't finished, though. In 1991 he introduced Mesmerizer, which went on to win the Dykes Medal in 2002. This was an astounding accomplishment - three Dykes Medals in six years, and all space agers! Unfortunately, no space age iris has won the Dykes Medal since. What are your favorite space age iris from the late 20th century? Let us know in the comments! 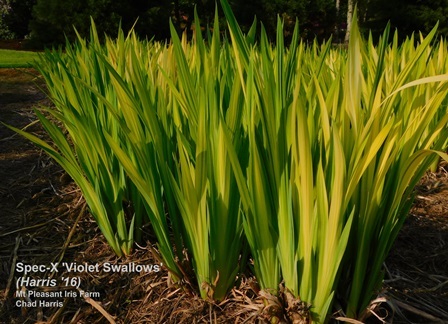 If you site your bearded iris right with good air circulation they give a bold almost agave look to the garden. 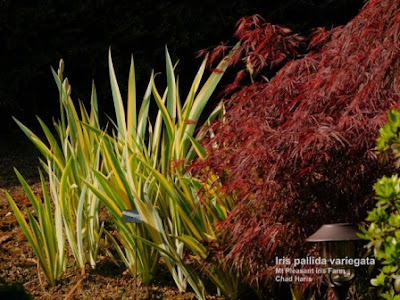 Using Iris pallida variegata in the garden will brighten up an area. If you can, site it so the sun shines through for you to enjoy the stain glass effect. Who needs a bloom with this look? Siberian iris for most are easy to grow and should be a go to iris for majority of gardeners. The graceful foliage whether upright or fountain, comes in all sorts of shades of green, from blue-green to lime-green. However you need to get out to the farms before and after bloom to inspect the plants. 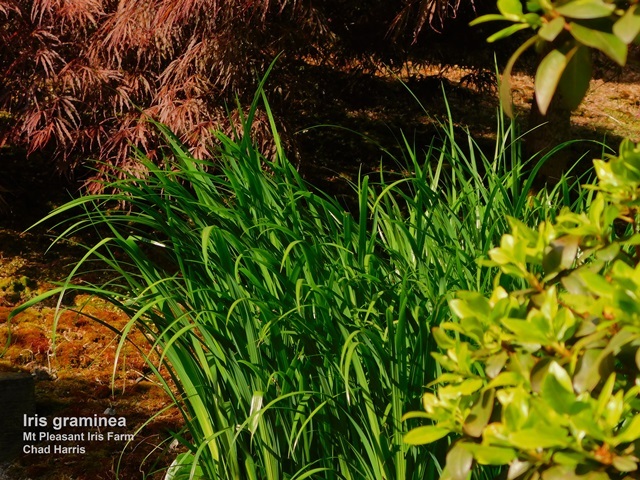 Then you can chose which color and texture is needed for your garden. If sited correctly the Spuria family are very tough plants. They are one of the few iris that will thrive for a long time in the same place without division. 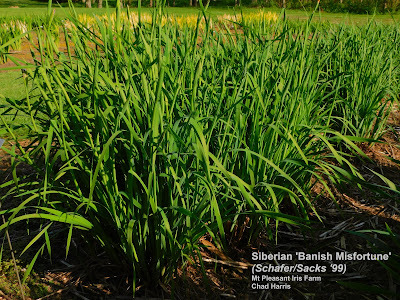 Many different species are smaller and make for great shorter grass like mounds as fillers for the garden. The newer hybrids come in a range of size from a few feet tall to five feet and greater. With their stiff upright foliage they make a bold statement in the garden. 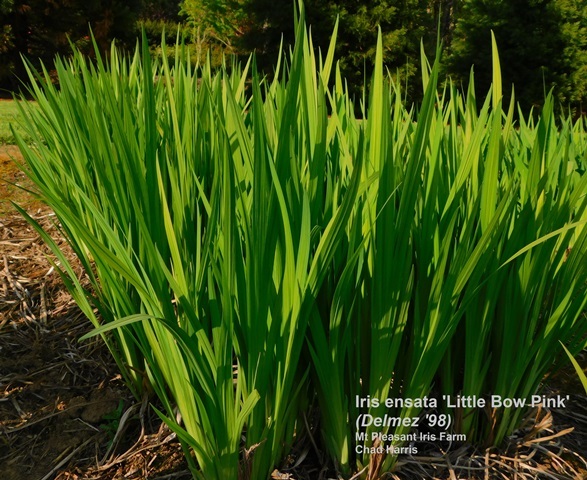 Japanese, Iris ensata are more temperamental to grow with a very narrow cultural window. However if you have the right conditions, these late blooming iris will give a grace and charm to your garden. Plants can be two feet tall to six feet with majority of them three to four feet tall. Specie crosses are made to get vigorous plants that are tolerant of varied conditions in the garden. Many growers will list these as Spec-X. 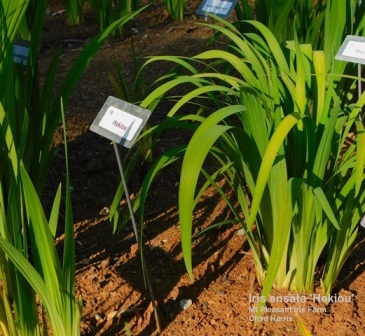 A newer Spec-X is called “Pseudata”, these plants are the cross of a Spec-x ‘Gubijin’ x Iris ensata. 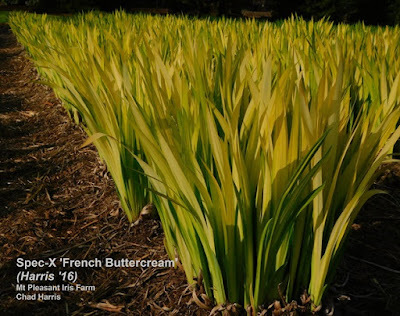 with bright yellow foliage greening up later. I am very enthused with these new hybrids as they can bring a unsurpassed brightness to the early spring garden. These plants will green up later in the season with stronger light of the sun. This chameleon effect may not be as strong in other parts of the country for the lack of cloudy Spring days as compared to our days here in the Pacific Northwest. 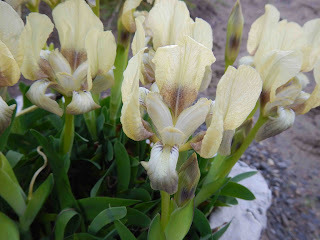 Many of these iris that I have been speaking of can be grown in containers. Grouped together on the patio or deck can make for a dramatic scene, mixing all of the different textures available. Here I have barely touched on the 250 plus species of iris that may be grown and what they can bring to the garden beyond the bloom. 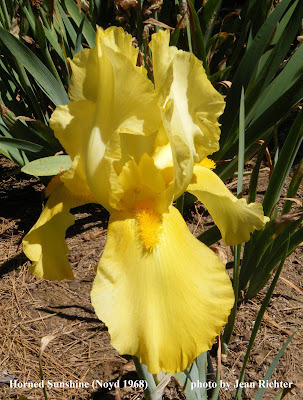 There is an iris for water, desert, sun, shade, and everything in between. 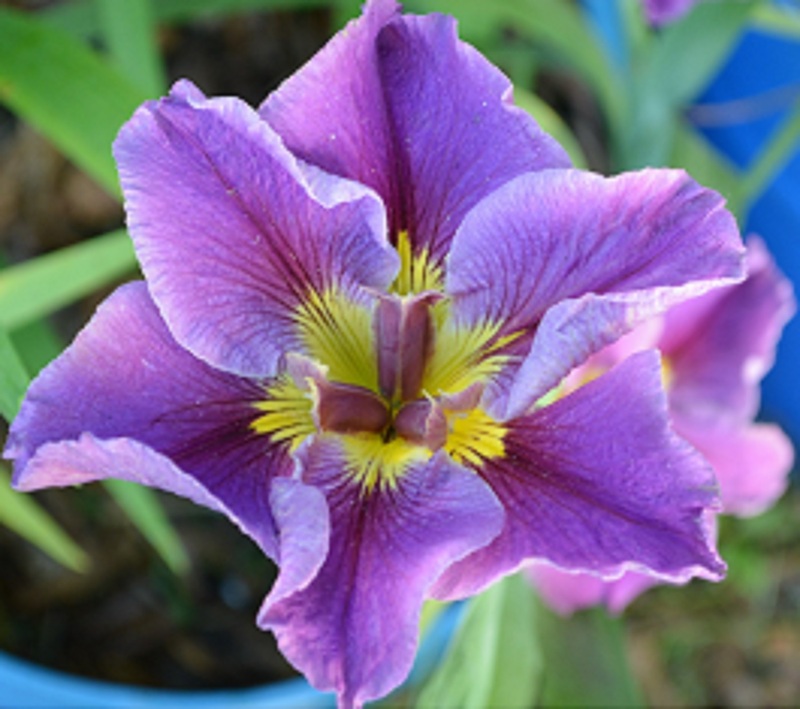 Meet with your local farm, iris club, or at the National level of The American Iris Society to learn what can be successfully grown in your own area. Gardening on the coast in the Pacific Northwest, I grow many hybrids and several species of iris in the Pacifica (Californicae) group of beardless iris. 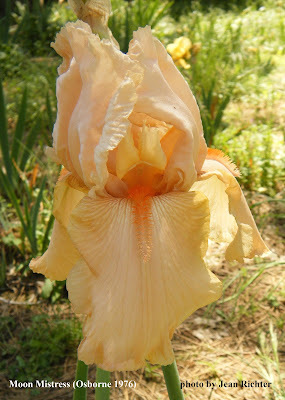 The vigor of tall bearded iris is daunting—miss a year to divide and transplant, and my garden is overrun. I had to use explosives to clear areas (Joke! It just felt like black powder was more effective than a spade). Iris attica flowers, after seven years, three in the ground, four in a planter. 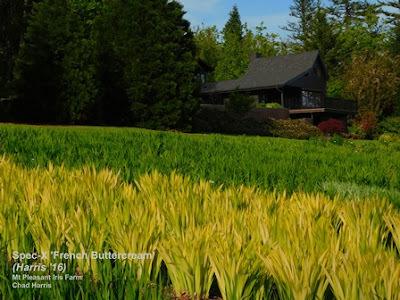 In 2010, the North American Rock Garden Society’s western study weekend was in Medford, Oregon. Gardens on the tour included Baldassare Mineo’s rock garden, Siskiyou Rare Plant Nursery, and a dozen private rock gardens in the area. A tiny bearded iris, Iris attica, came home with me. 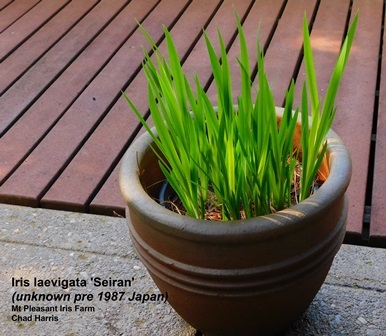 I planted it in the sunny end of a flower bed; it flowered the next year, and then began a slow decline. Four years ago, I removed it from the garden and planted it in a styrofoam box. 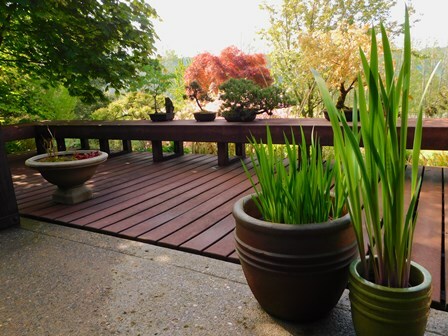 In this new container, deep and well drained, tucked under an east-facing eave, Iris attica flourished and flowered. Which was when I discovered that squirrels, chipmunks and/or voles were eating the flower buds as they began to emerge and show color. [These varmints also ate my rainlilies.] 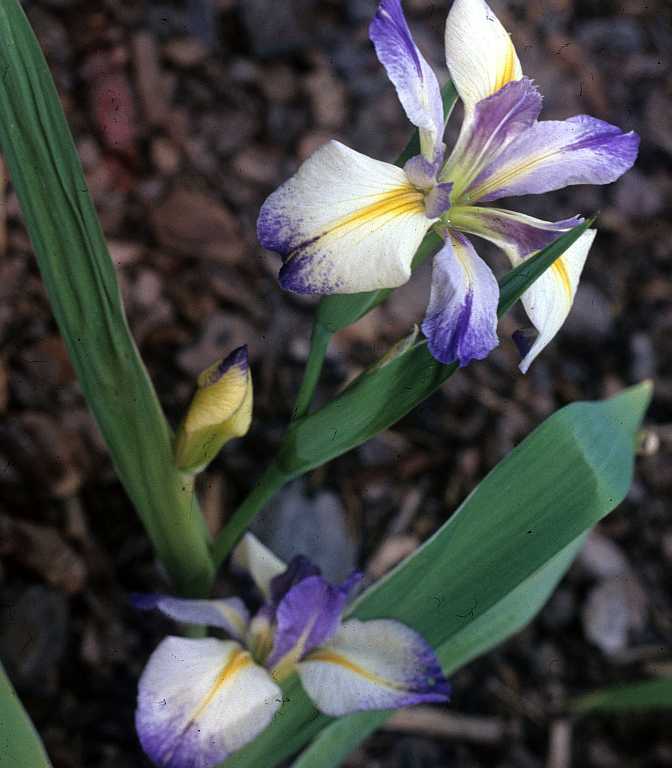 But the plant was now sturdy and healthy; despite no flowers, Iris attica thrived in its new home. A working method to grow Iris attica in the Pacific Northwest: a planter, a dry outside location (under eaves), very porous planting mix, and protection from animals during flowering. Last year we rebuilt the cold frame and added a band of heavy 1/2 inch wire mesh about a foot high all around the edge. This spring, when I saw buds emerging on Iris attica, I put the box in the cold frame; the mesh band was already open for spring. The result you can see, sans nibbling, is a planter packed with flowers. When it is done flowering, the planter will go back outside again. So, you are wondering, what is the link to Pacifica iris? I also have Iris hartwegii australis in my garden. This was grown from wild-collected seed, collected many decades before it was a listed species, then grown in a garden, and seeds from that plant passed to me. It flowered once and has been declining ever since. It’s native to mountains in southern California, which means the long wet winters here are probably wetter than it likes. It might quite like a box under the eaves. 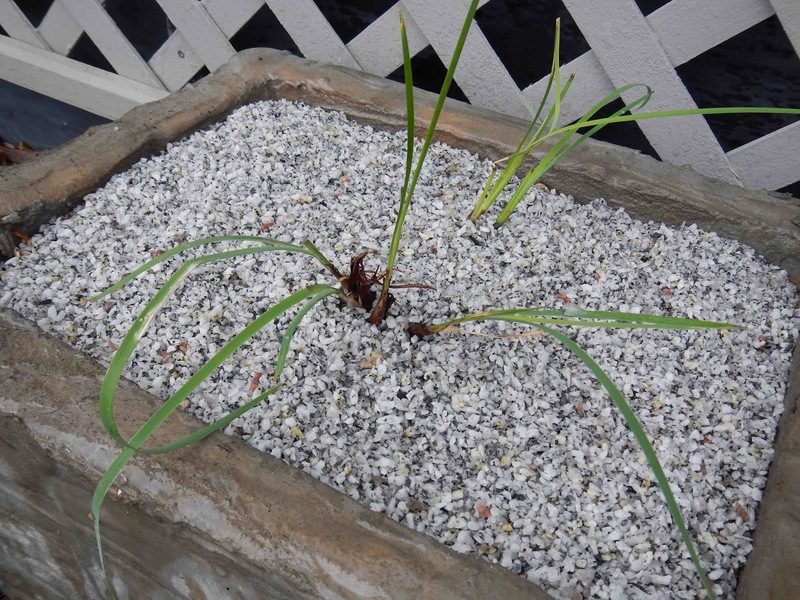 Iris hartwegii australis, ready to go into its new planter. Note the extensive root system--many more roots than on hybrid PCI plants. 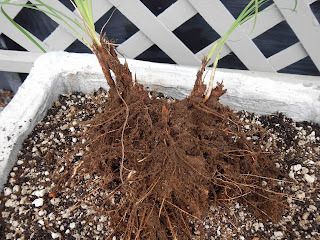 This spring, I dug up a sprawling clump of Iris hartwegii australis and tucked it in a styrofoam planter with a highly porous mix of coarse pumice and potting soil. I added some fresh compost and biochar for more soil carbon. I dressed the top of the planting mixture with granite gravel (chicken scratch), as its home mountains are geologically old granites of the Transverse Ranges in southern California. Tucked along the eaves, the rainfall should be cut to under 40 inches, more like its home. This planter is close to a hose bib, and gets half days of sun (when we have sunshine). Summer soaking to mimic thunderstorms in the mountains is easy. Granite chips added on top, to help keep the soil mix in the planter in heavy rain, and in this case, to remind I. hartwegii australis of its natal home in the Transverse Ranges, southern California. My hypothesis is that native plants in these boxes do better than in thin-walled, dark-colored plastic pots, because the planting mix is deep and cool. I also grow Erythronium, Lilium and other bulbs in these boxes, where they can live for several years without transplanting. PCI seedlings do very well, though their roots will push through the styrofoam if left in there too long. In the winter, the well-insulated walls also protect the roots from freezing—just as in the ground. I’ll report back in a year or two on how this iris likes the planter. Or sooner, if it goes toes up! 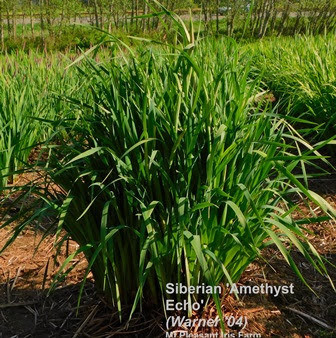 For the newcomer who might want to hybridize iris, you might be a bit put off when you hear that Schreiner's plants 50,000 seedlings, or that Keith Keppel raises 10,000 each year. Rest easy, potential hybridizer! Even a gardener with limited space can successfully hybridize new and beautiful plants. 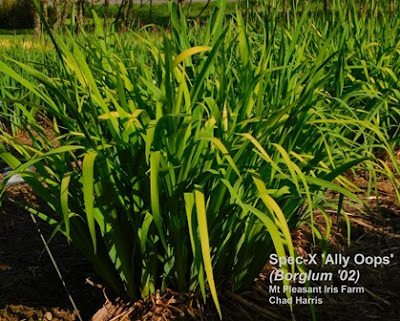 This post and the next will tell the story of two Region 14 hybridizers who were, and are, successful regardless of space limitations. 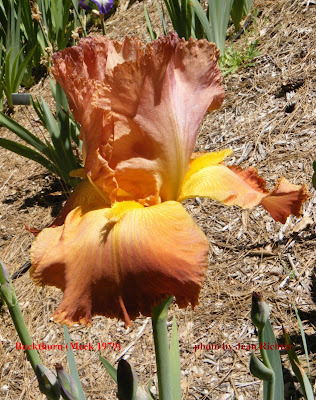 When I joined the American Iris Society as a teenager, Larry Gaulter was a fixture of the region. 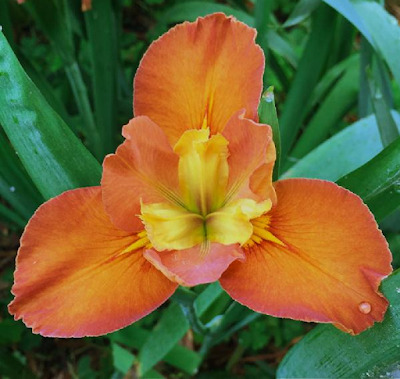 He had been Regional Vice-President for a year and was serving as a member of the Board of Directors of the American Iris Society. At meetings of the Clara B. Rees Iris Society, Larry and his wife Frances would drive down from Hayward in the company of Walt and Vi Luihn. Larry lived in a tract home with a small back yard. Over time, he took over part of the back yards of the homes to either side of him. From that limited space, a series of fine irises emerged, irises that I am convinced that did not receive enough praise while he was still alive. 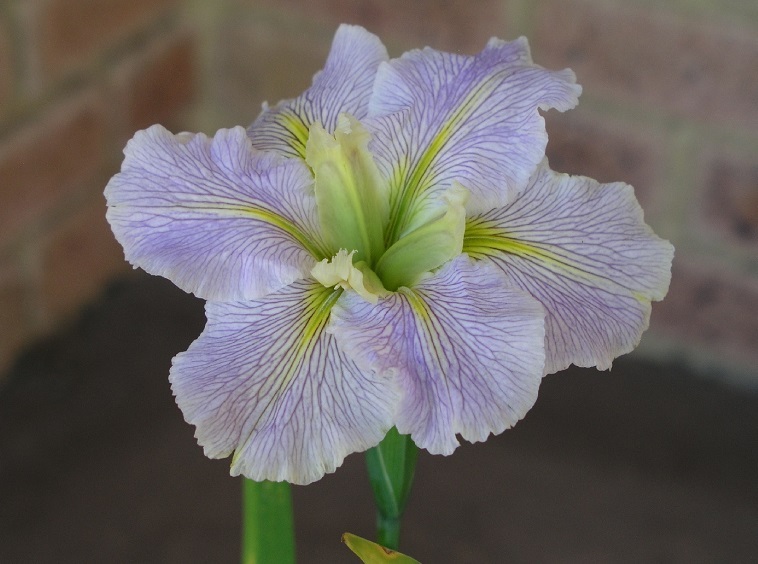 Here are some wonderful Gaulter irises for you to judge for yourself. 'Mademoiselle' was Larry’s first Award of Merit winner. From Schreiner and Whiting breeding stock, it would be a foundation of his lavender/orchid/blends. 'Claudia Rene', named for one of his daughters, was in bloom at the first Region 14 Spring Meeting I attended. The first day of the meet, the flowers were faded, but the next day fresh flowers opened, and as a new introduction it was bargain-priced at only 20.00. I had to have it, and its seedlings were a mixed bag: many were rough, but quality also emerged. My first introduction, 'Baroque', was a 'Claudia Rene' child. 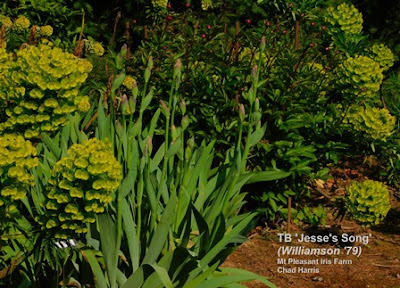 Other hybridizers like Joe Ghio also used 'Claudia Rene' to great success. From 'Claudia Rene', Larry introduced 'Laurie', and for years 'Laurie' and 'Babbling Brook' vied for the Dykes. Sadly, 'Laurie' did not win. Twenty years after introduction, a well grown stalk of 'Laurie' still looked modern and fresh. Larry would finally win the Dykes Medal for 'Mary Francis', one of those irises that grows and blooms everywhere. Still popular today, it has become an enduring classic. 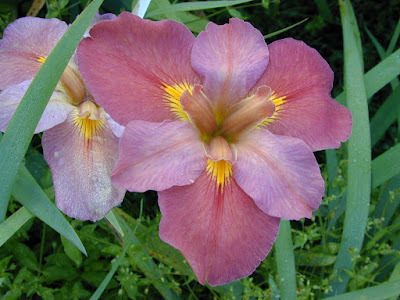 Two other Gaulter irises have also become classics. 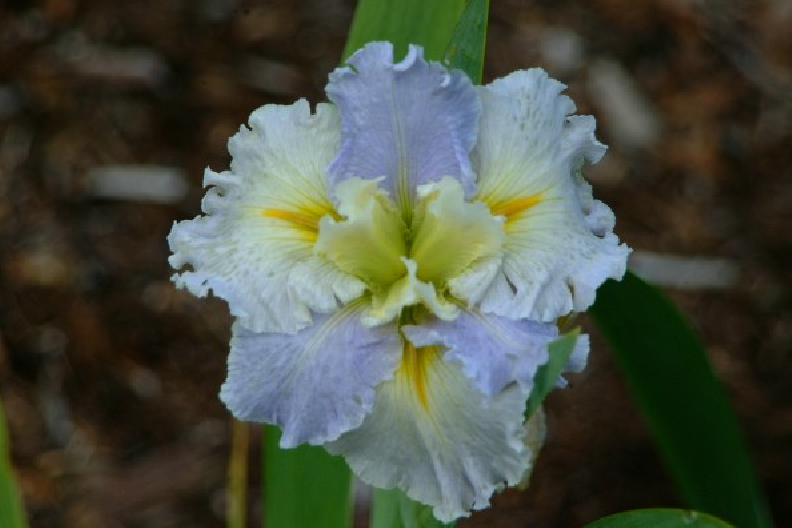 'Skating Party' won an Award of Merit and it has endure as a great white iris. For color and pattern, though, Larry's 'Persian Berry' is still unmatched. It won an Award of Merit and is still widely grown and appreciated. I always enjoyed 'Drury Lane' for its bright color combination, but it never caught on with the public like some of Larry's other creations. Larry was a positive role model for others—he became an early supporter of Don Denney and Jim McWhirter. That duo revived Cottage Gardens and many of their early introductions contain Gaulter irises as parents. For Larry’s support of others within Region 14, the Region 14 Lifetime Achievement award bears his name. 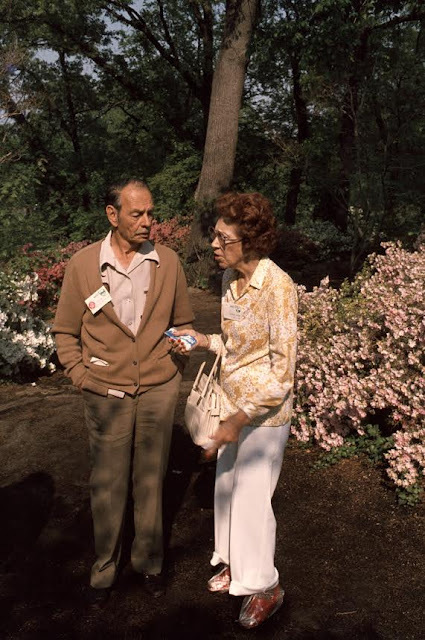 When looking at photos from the 1950’s onward, Larry and Frances can be seen in gardens throughout the West Coast. It was somewhat fitting that Jim McWhirter would introduce Larry’s last introduction, the Award of Merit winning 'Alexander’s Ragtime Band'. 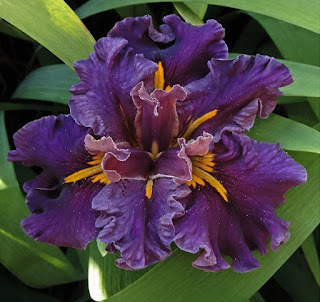 It should be no surprise that both 'Mary Frances' and 'Skating Party' have been voted onto the Tall Bearded Iris Society’s Hall of Fame. During his lifetime Larry won a Dykes Medal, the Hybridizers Medal, and the AIS Distinguished Service Medal. Not bad for someone working in a limited space in a backyard garden! It is always great fun to receive pictures of seedlings of Louisiana irises from the various hybridizers during the bloom season. We are lucky to have many hybridizers in New Zealand and in Australia so we actually have two bloom seasons, one here in the USofA and one "down below". 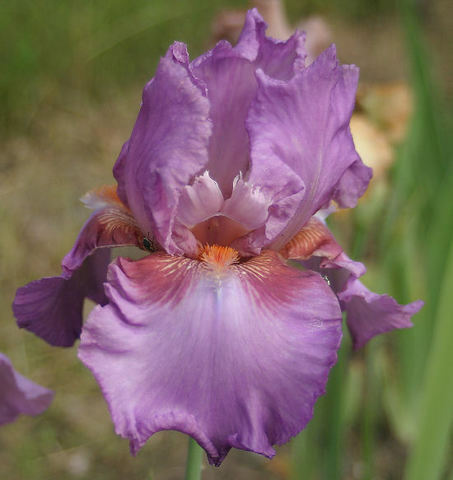 The Louisiana iris discussion group on Yahoo is a great way to keep up with the latest and greatest hybrids. Joe Musacchia lives about as far south in Louisiana as you can drive unless you have one of these neat little Italian cars that can cross the ocean. 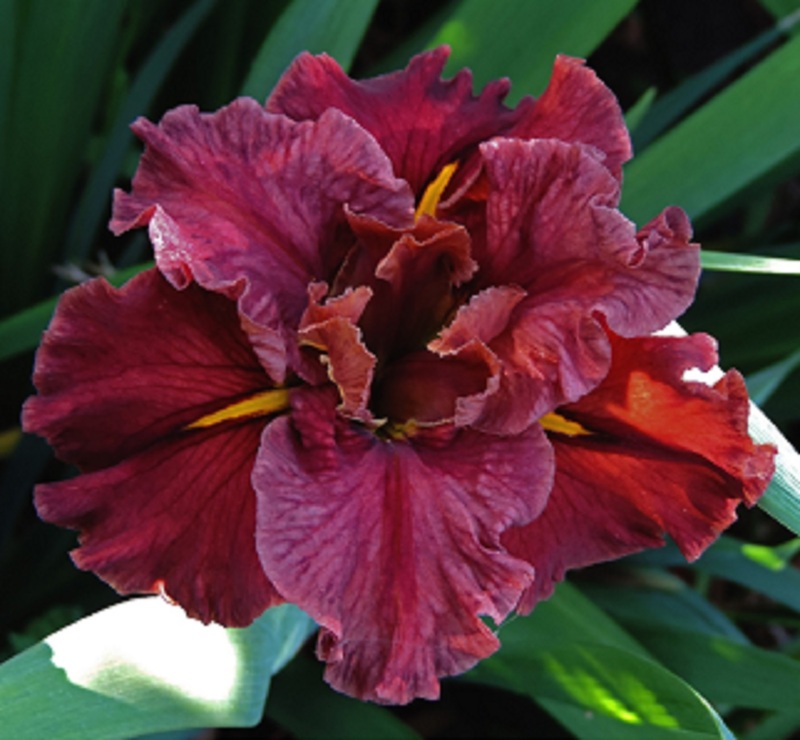 Joe (know by friends as Cajun Joe) has produced lots of Louisiana hybrids and is the VP of the Society for Louisiana Irises. Roland Guidry lives in Hammond, LA, about 45 miles east of Baton Rouge. He has recently started hybridizing Louisiana irises again and produced this lovely red one. He has a really nice white one, 'Cajun Popcorn' (2016). Roland is a board member of the Society for Louisiana Irises. 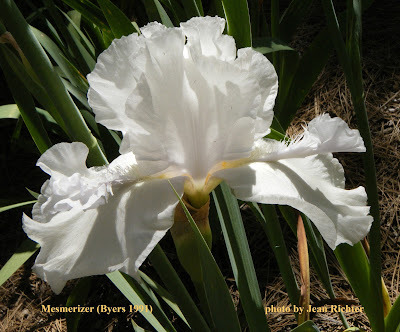 Ron Betzer lives in Lafayette, LA, known by some as the Louisiana iris capital of the world. There are certainly a lot of Louisiana irises in that area and some of the first and famous hybridizers of Louisiana irises lived in that area. 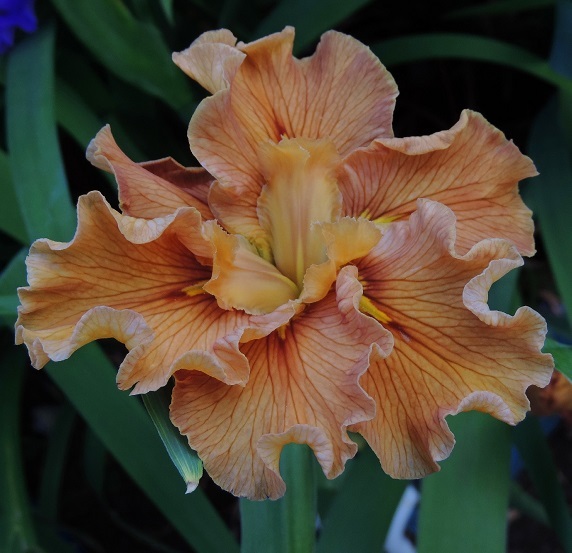 Ron has produced quite a few interesting Louisiana irises over the years. He lived in CA for a long time but when he retired he moved back to LA. One of his seedling he brought back from CA was named in honor of both states, "Cala" (Betzer 2008). Benny Trahan lives in Slidell, LA, almost in MS. This area was hard hit by hurricane Katrina. 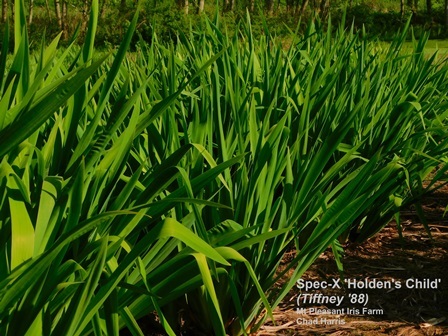 Benny has a huge collection of species Louisiana irises and loves to cross species of Louisiana irises to produce hybrid irises with more of the species form. 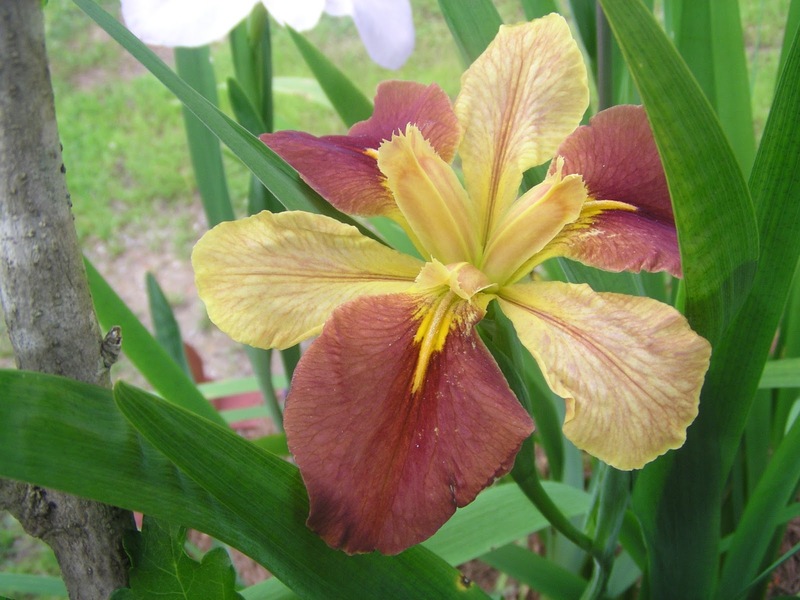 There is another Louisiana iris, similar to this one in name and odd coloring, 'Finders Keepers' by Frank Chowning (1961). 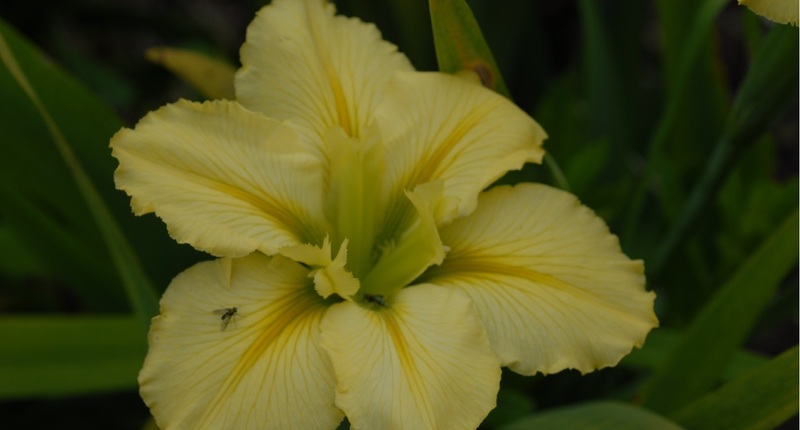 Kevin Vaughn has hybridized just about everything that has pollen on it. 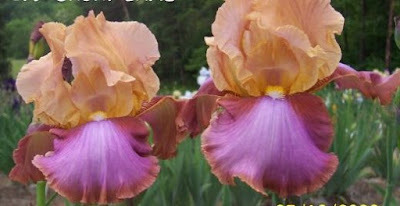 He has produced many award winning Louisiana iris hybrids. Kevin, a PhD "weed scientist", lived for a long time in MS but has moved to Salem, OR, where he continues his fine work. 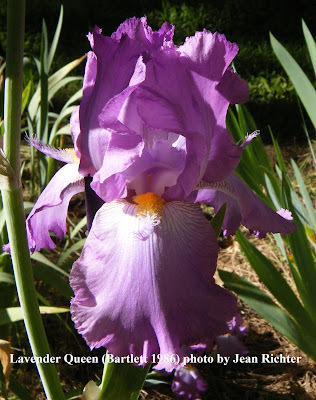 He is a past president of the Society for Louisiana Irises. 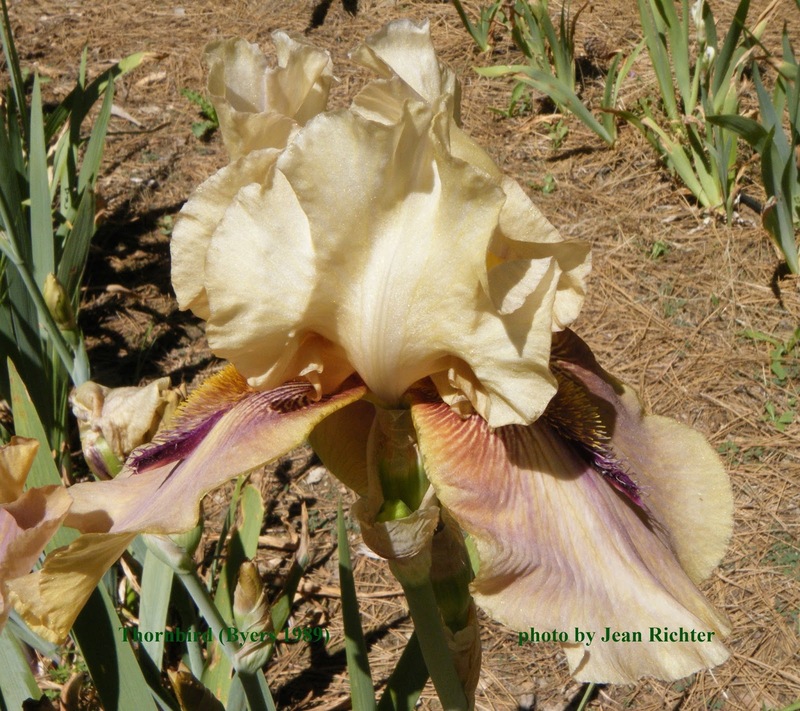 Cindy Dufrene lives in Carriere, MS, an has produced many Louisiana iris hybrids. This iris has a very "southern" name, you kinda have to be from the south to understand the name. Pat O'Connor, a great friend of mine, lives in Metairie, LA, just northeast of New Orleans. Pat has hybridized many Louisiana irises and loves to name his irises after things/places/events of south Louisiana. 'Metairie Ridge' must be near where he lives. 'Remoulade' is an interesting south Louisiana ingredient/condiment. Google it to find out more. 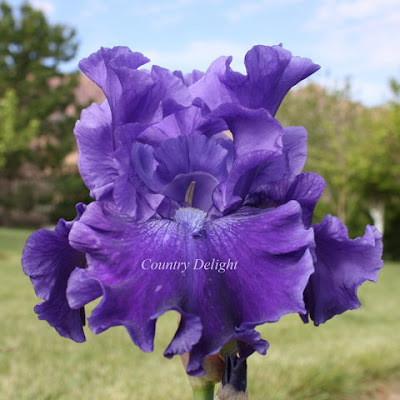 Peter Jackson lives "down under" and has hybridized very many Louisiana irises. 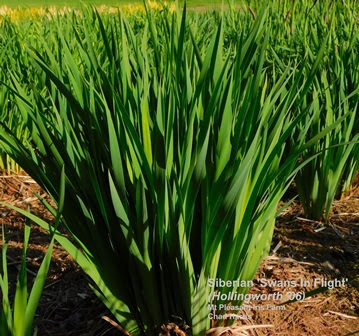 It is always interesting to see the names given to the hybrid irises from Australia. So many Louisiana irises have typical Louisiana names, it is fun to guess at where the names given "down under" originated. D. R. Grieves also lives in Australia and registered 15 Louisiana irises, all of them very pretty. I would guess the name is someone special to him. 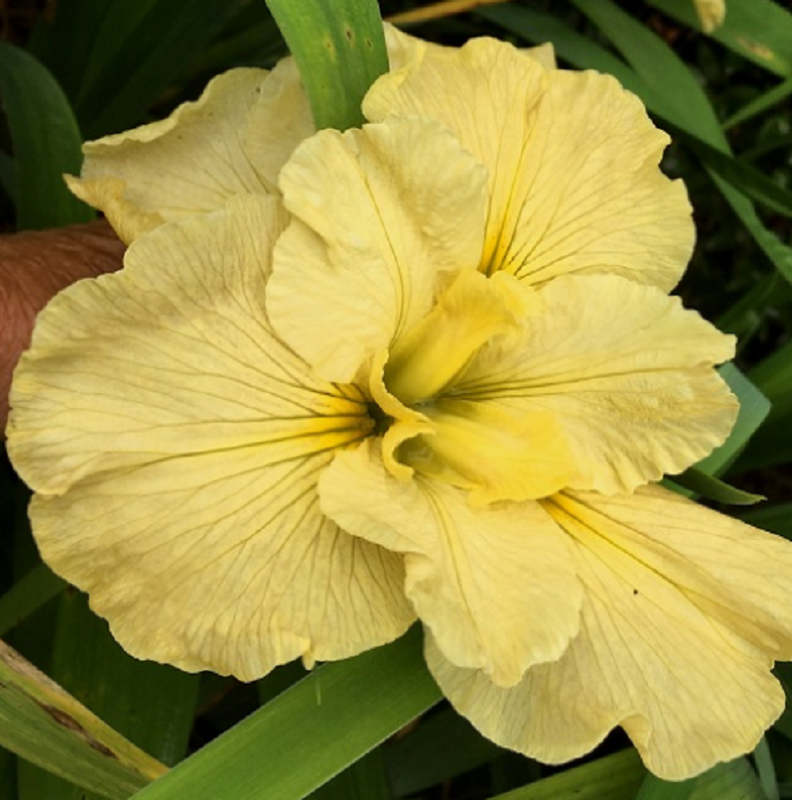 Heather Pryor and her husband, Bernard live in West Hobart, TAS, Australia, and they have produced very many beautiful Louisiana irises hybrids. The Louisiana irises have "come a long ways". They hardly resemble the species found in the marshes and swamps of south Louisiana in the early 1900's. Some still love the old "open form" and the "spidery" look, while others like the move full form with ruffles and and flourishes. I like them all! To learn more about Louisiana irises visit the Society for Louisiana Irises web site. 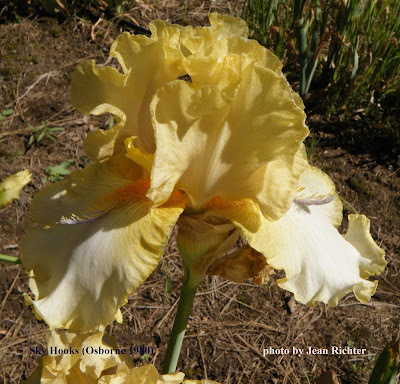 To learn more about other species of irises, visit the American Iris Society.